There are hundreds of things written daily regarding changes, reforms and new research in the profession of education. But much of this comes from outside entities (researchers, politicians, parents, leaders and others) aimed at educators. It’s time for educators to own the changes, thus owning the profession. We need to truly flip the whole concept of what it means to teach and be a true teacher.This can apply to all educators who understand that we have to redefine the profession. Professionalism - Teachers need to claim and lead the professional standards of their own profession. Just like in the profession of law enforcement, the system cannot tolerate or endure bad professionals. Cops need to police their own and so do teachers. For too long, we have collectively accepted that there are going to be a certain percentage of just plain “bad” teachers. The fact is that they not only harm the profession, they ultimately cheat students. And we should not tolerate that. Unions, tenure, contracts or whatever be damned. And with the teacher shortage at crisis levels, we cannot afford to continue this trend. The millennials will not flock to a profession that tolerates such an ethical divide where some teachers are not there with a moral purpose to help students and treat them well. Community - Globalism has affected education in many ways. 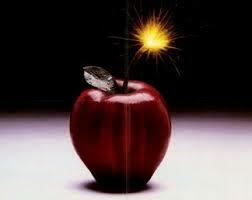 But to be honest, teaching has always been a community-oriented profession. The only way to have impact on students and learning is to be integrated into the community. This is why many teachers choose to coach teams, advise clubs, and lead extra-curricular and co-curricular activities. As teachers, we often complain about not having enough respect professionally from our society. And that is sadly true. But the only way to combat is to be leaders in our communities. This does not mean we cannot have private lives or that we have to live our profession 24/7. But it does mean that we cannot hide. Like we addressed above, we cannot have teachers that show up before school starts and leave when school is out and never engage with their communities. There are dozens of ways to do this and we have to do it in some way. Innovative / Creative Mindset - Dave Burgess of the Teach Like A Pirate kingdom (http://daveburgess.com/) has often said it best. He says teachers will say it’s easy for him because he’s creative. The truth is, according to Dave, is that one has to work at being creative. It is like everything else - it has to be a focus and on-going effort. We all have different innate talents and abilities, but we can apply them creatively to our profession if it’s a priority. This does not mean we all have to be artists, but it does mean we have to continually re-imagining our instruction, curriculum and profession. Relationship Masters - Personal friend and Edu Guru Jon Corippo (https://sites.google.com/site/mistercorippo/) said that he always viewed his role as a teacher was to be a “Maker of Kings.” In other words, it was his duty to treat every student with personal attention and take them to their personal optimization. This is only possible if we view ourselves as professionals focused on relationships. Too many teachers either see this as a pesky side note or sadly even irrelevant. Teaching is not primarily about content and curriculum, but it’s about connections. Students want to work for people, not systems. They want to perform for people that care about them and make daily effort to connect with them personally. We should know this because as educators we operate the same way. How to maximize relationships with students needs to be foundational in our teacher education programs and lifelong professional learning. Advocacy - We can’t leave this to others. We all have to be advocates for all things education - funding, technology, autonomy, professional development, policy and more. But maybe most importantly, we all need to be the ultimate advocates for young people. Too many adults, including many educators, spend way too much time unnecessarily criticizing and belittling young people. More than anything, students need someone who is consistently going to bat for them. Who better than teachers to serve in that role? PD Patrons / Promoters / Purveyors - As part of our role as consummate professionals, we need to embrace Professional Development as a universal foundation of education. We cannot preach lifelong learning to students and not live it ourselves. PD cannot be viewed as something that administrators make us attend. It has to be something we take ownership in by leading PD, presenting at conferences, reading professional literature on our own, selecting PD options, partnering with colleagues, requesting more time to develop professionally on our own and so on. Too many educators view Professional Development like too many of our students view school - it’s something that happens to us and not with us. This has to change. Curriculum Curators - The days of being textbook dependent are gone. We cannot be professionals if our curriculum is created by publishers, test makers or corporate entities. We have to own our curriculum which means we all have to individually and collectively be “curriculum folks.” With the world becoming more project-based, along with unlimited resources online, there really is not an excuse not to design curriculum for one’s current students based on their needs, interests, relevance and input. The digital world is our new textbook and it’s unlimited. Consistent Collaborators - This is not an isolated thing. Indeed, it’s the top skill that employers are looking for in our current students. We have become a truly collaborative universe and we have to work this way - especially in education. The work is too demanding, evolving, specialized, customized and dynamic to work as solo artists. To be brilliant, we need one another. Collaboration can be with our with colleagues at our sites and all over the world thanks to social media. But we also need to view collaboration as beyond our colleagues. We need to collaborate with students, parents, community members, business leaders, politicians, volunteers, experts, professionals and all stakeholders. 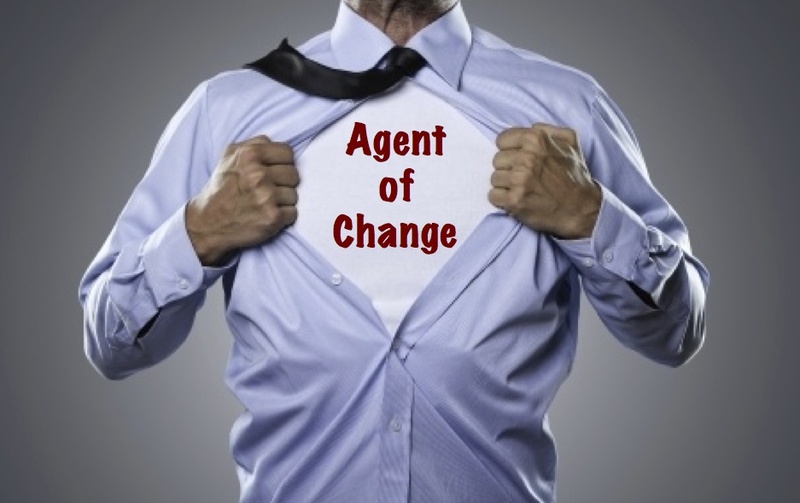 Change Agents - All educators need to begin to view themselves as not captives of change, but masters of it. Change is inherent in learning and we need to model it. We should continually push for experimentation, risk taking, new approaches, new ideas, new skills, new levels of mastery, new models and new design. If we cannot embrace change, we need to get out. If we can, then we need to lead it. With the number of problems, issues and challenges that our students and world face, we have to know that change will be the only constant. Futurists - Teachers have traditionally had many responsibilities including, but not limited to lesson design, classroom management, assessment, parent communication and many others. However, most teachers have not seen themselves as students of the future. We cannot afford to leave this to the academics and the business leaders. Educators need to understand the quickly changing dynamics of our new globalized economy and digital planet. It’s not enough to know that things are changing, we need to understand why. We need to regularly study the trends, the data and the innovators. Much of the resistance in the teaching ranks towards technology, new standards and things like project-based learning are directly related to a disconnect to what is really transpiring in this new age. Hope you enjoyed these 10 things that must change about educators and education. As usual, I’m confident the list is not comprehensive or complete. Like everything else, it will have to change. Gracias Anne. Nice to hear.